Tom Foley invited me in September me to give the fall convocation address to the students at Mount Aloysius College, in Cresson, Pennsylvania, where he is university president. I decided to begin with the simple assertion that the good life is, as I see it, a life lived generously in the service of others. If the accumulation of money is your goal in life, I said, you will come up short. You will never have enough. No one can count on money to deliver happiness. And without happiness, which, of course, is not to be confused with pleasure, hilarity and fun, there is no good life. Family will be part of anyone’s idea of the good life. An occupation or profession is likely to be part of that picture. So may be a location — a city or town, a country of origin or choice. Other people — a future spouse, children, workplace associates or companions on the way — belong in the picture I was inviting the students to paint. There are a lot of options in front of any college student today — a lot of choices to be made. Drift and purposelessness won’t help them get there. I reminded them that you can’t steer a parked car, you’ve got to get rolling. But in what direction and at what speed? Some kind of map will be necessary. A dream can be a map, I said, so let yourself dream. I recall being of assistance some years ago to a young woman who found herself at a career crossroads, an important decision point in her life. She sought my help in trying to figure things out. So I encouraged her to focus on her feelings and deepest desires. I gave her an idea drawn from the Hindu faith tradition, an ancient saying from the Upanishads. Be realistic, I said; sober assessment of your dreams can help you keep your feet on the ground. It can also assist you in getting those feet moving in the right direction — through deeds toward destiny. Faith can be and should be a map guiding you into the future. The Scriptures, God’s inspired word, can be an enormous help in mapping out a path toward the good life. So I opened up for this audience a few verses of St. Paul’s Letter to the Galatians, which was written to help new Christians exercise their newfound freedom “in the Spirit.” Let yourselves be “guided by the spirit,” said St. Paul, and he speaks of the “fruit” of the Spirit — evidence of the presence of the Holy Spirit in a human life. “I say, then, live by the Spirit. … [and] “the fruit of the Spirit is love, joy, peace, patience, kindness, generosity, faithfulness, gentleness [and] self-control” (Gal. 5: 16; 22-23). There you have a nine-word portrait of an authentic human existence, of the good life. 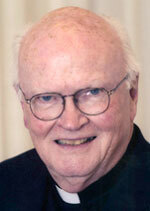 Jesuit Father Byron is university professor of business and society at St. Joseph’s University, Philadelphia. Email him at wbyron@sju.edu.